Contrary to popular belief, water pollution is not solely caused by trash on the street or the dumping of toxic chemicals into our oceans. 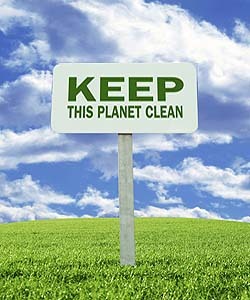 A large majority of this pollution is caused by natural substances found in our everyday environment. The three leaders of natural pollutants include; agriculture runoff, metal mining, and fat, oil, and grease (FOG) disposal. These substances have become harmful solely due to their excess. Remember when your mother told you that too much of something isn’t good for you? The rule still applies. Thankfully, scientists and businesses, with the help of technology, are making it their mission to take these substances out of the water supply and turn them into something useful essentially developing new ways to make the best out of a bad situation. One of the major pollution contributors today is from agriculture. Specifically, the excessive amount of nitrogen as a result of our farmers overuse of ammonia-based fertilizers on their crops with the run-off going into the water stream. 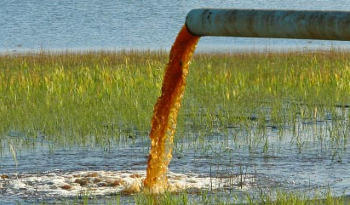 When the tainted runoff meets a body of water where plant and animal life exists, the oxygen becomes quickly depleted killing plant and marine life. This problem is replicated in large numbers all over the country every day. In an effort to combat this issue, scientists at Stanford University have developed a system intended to remove the nitrogen out of the water and convert it into energy. When ammonia is converted into nitrous oxide (N2O) and burned along with methane, an energy source is created that can power wastewater treatment facilities. This innovative process will not only remove the harmful pollutant from the water, but it will also create a valuable source of energy to the facility which will no longer rely on a third party for energy. Another relevant ‘natural pollutant’ is created by metal mining. The need for metal is increasing drastically thus causing big problems for the environment. Environmental issues can include erosion, formation of sinkholes, loss of biodiversity, and contamination of soil, groundwater and surface water from the mining processes. Contamination resulting from leakage can also affect the health of the local population if not properly controlled. An extreme example of pollution from mining activities include coal fires, which can last for years or even decades, producing massive amounts of environmental damage. The University of Colorado has begun using a new technology which uses environmentally friendly compounds that targets over 40 different metals and removes them from the water to rid our water supply of metal contaminants. This cost-effective technology makes the water easier to treat. Finally, FOG, short for fats, oils and grease. Major breakthroughs have come forth in the means of ridding the water stream of FOG. Technology exists that is capable of removing nearly 100% of this ‘natural pollutant’ from wastewater. This means that industries may no longer have to deal with clogged drains, incur costs to clean out grease traps or endure failed FOG regulation consequences. Some companies have even recognized the value of this waste by recovering this byproduct from the wastewater transforming it in a low-carbon biofuel. The journey is a long and rigorous one to find the value in those natural pollutants and capture them before they reach our waters. Although we are currently facing many natural occurring water pollution problems, technology and business are working together to build innovative solutions to those problems. This entry was posted in Environmental Concerns and tagged BioHitech America, Innovative Solutions, Water Pollution on July 30, 2013 by BioHitech America. Clean air and clean water are vital environmental elements that contribute to the overall health of our nation. We must continue to preserve and protect these resources for future generations. When it comes to the air around us, we don’t typically think twice about what we’re breathing. And yet, as industries boom, agriculture needs grow, so does traffic and energy generation all contributing to pollution in the air. Society needs to be much more conscious of exactly what we take in. Consumer whims also contribute to the creation of pollution. Take, for example, a simple manufactured water bottle, a luxury certainly not a necessity. The factory that this bottle is manufactured in releases carbon monoxide, carbon dioxide, and nitrogen oxide, just in the creation of the bottle. Filling, packaging and transporting that same bottle releases additional pollutants into the air. And finally, it ends up in a marketplace, sitting on shelf in a store which is using electricity. Every step of the way harmful contaminants are being released into the air. So what does this mean for us? When large amounts of pollutants are released into the air our health declines. Poor air quality means an increased risk of early death, heart attacks, strokes, etc. and poses a great danger for those who have pre-existing asthma, cardiovascular disease, and/or diabetes. But the problems with air pollution do not simply stop with our health. Our environment is also suffering by means of acid rain, eutrophication (run-off of nutrients, causing massive cycles of death in lakes), smog, ozone depletion, and global warming (caused by greenhouse gases such as methane and CO2). Air pollution is not the only kind of pollution we should be concerned about. Water pollution is just as important. 70 percent of the Earth is covered by water, and yet only 1 percent of that water can be used for drinking. This percentage is rapidly shrinking as our clean water becomes polluted. The overuse of water by big industry and factory farms diminish this resource at alarming rates. Not to mention, the dumping of radioactive waste into oceans, underground storage leaks, oil pollution, littering, and storm water runoff from landfills polluting the same water that we rely on to be recycled for our use. Despite the few efforts made by only just a few, to remove all of these toxic obstacles from our environment tainted water and polluted air will continue to find a way into our systems. It seems we have two big problems on our hands. We must develop strategies to decrease the potential for air and water pollution. Without the two, society would not be able to thrive much less survive. We at BioHitech America believe in the importance of reducing toxic emissions in both the air that we breathe and the water that we drink in order to improve the quality of our lives. This entry was posted in Environmental Concerns and tagged Air Pollution, BioHitech America, Water Pollution on July 19, 2013 by BioHitech America.